SUMMIT COUNTY – Some 5.4 percent of local residents were unemployed in January – well below the statewide rate of 8.2 percent, according to the Colorado Workforce Center. 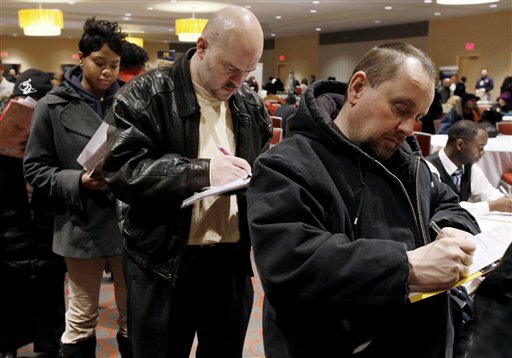 The statewide, seasonally-adjusted unemployment rate was 7.4 percent, according to the Associated Press. A local seasonally adjusted rate was not available. The Summit County unemployment rate may have been lower because more jobs are available during the ski season. Or perhaps people leave the pricey area when they can’t find work. Summit County Commissioner Karn Stiegelmeier said that while she’s “pleasantly surprised to hear that number,” there are many people who are self-employed or in real estate having an especially tough time making ends meet. Tamara Drangstvet, executive director of the Family and Intercultural Resource Center in Dillon, said more people could be in need as folks laid off last spring reach the limit to their benefits. “A problem we’re starting to see is folks who have been unemployed for just about a year now, and their unemployment benefits are starting to run out,” she said. Kent Abernethy, labor specialist with Colorado Workforce Center in Frisco, said that in January the state added 2,200 jobs to its leisure and hospitality industry. However, construction jobs declined by 1,200. Both industries have been key to employment in Summit County. For people who find themselves unemployed, a few local programs offer help. It functions off of a one-year grant that began in September. She said the project involves a mix of people who are unemployed and people who are underemployed, in which case they could be working beneath their skill level. The project helps people get certified as bicycle technicians or to obtain commercial driver’s licenses, among other opportunities. For more information on programs for the unemployed, call FIRC at (970) 262-3888 or Colorado Workforce Center at (970) 668-5360.